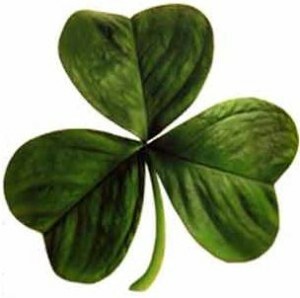 The month of March is finally here and St. Patrick’s Day is fast approaching. This cultural and religious holiday commemorates the life of Saint Patrick who landed on Irish shores in 432 AD to bring Christianity to a pagan land. 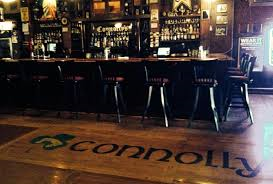 Along with this much anticipated holiday comes lots of drinking, foods, drinking, festivities, and even more drinking for the Irish and non-Irish alike. 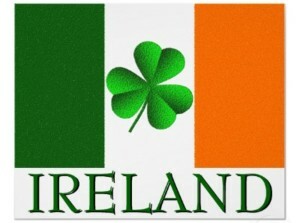 In the midst of all that green-colored revelry, it’s easy to lose focus on those in Ireland who are truly suffering. I’m speaking of a people who’ve suffered under the blind eye of the international community for generations. Yes, I’m referring to the Leprechaun people of the Emerald Isle. 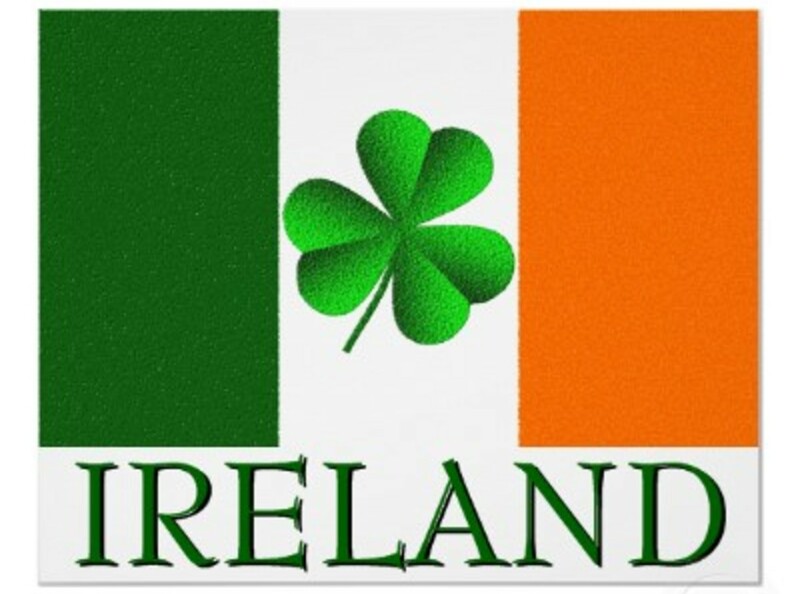 The Leprechaun have been woven into the fabric of Ireland since its very founding. They were there in the 6th century, rendering aid to the Celtic people by teaching them all the medicinal and magical properties of the shamrock. They were there in the 12th century, standing tall with their Irish brethren to ward of hordes of Norman Invaders. It’s difficult to believe that now, in the 21st century, Ireland has turned a deaf ear to the plight of the Leprechaun people. Does anybody notice? Does anybody even really care? Back in the days when St. Patrick roamed the Gaelic shores in search of lost souls, the Leprechaun were a proud and prosperous lot. Although they maintained limited contact with the outside world, these covert species of weefolk were never far removed from Irish society. They often worked as cobblers by night; diligently crafting and repairing shoes for the common folk. It was once said that the finest footwear in all of the land was made by these little bearded men. “Clad in square-cut green coats with tall buckled hats, they make the finest of footwear but terrorize cats” – Dylan O’Malley, resident of Waterford, Ireland. For generations the Leprechaun held a monopoly on the shoe business in Ireland. During those lucrative years they amassed great wealth and were known to bury hefty pots of gold at the end of each rainbow. The more wealth the Leprechaun gained, the more magic he also possessed. In those days it was a common occurrence for villagers to set out for weeks at a time, scouring the forests in search of these elusive fairy people. The quest was always the same: Catch one by his coattails and hold him down. A Leprechaun paid a mighty fine ransom to be cut loose and would inevitably bestow upon the captor the granting of three wishes. These were the good years when the common folk and the Leprechaun coexisted in mutual understanding, tolerance, and harmony. Just like a rainbow, those days would eventually fade away. Ultimately, it was the invention of shoelaces in 1790 that led to the Leprechauns demise. With this newfangled fashion, the Leprechaun’s buckled shoe quickly fell out of favor. It wasn’t long before the only people still buying the Leprechaun’s shoes were those in retirement homes who were too set in their ways for any sort of change. With the bust of the buckled shoes business, all those buried pots of gold were eventually unearthed. Depression set in and the idle Leprechaun turned to the bottle. The majority of Leprechaun dissipated their fortunes with reckless abandonment. Many set sail to New Zealand to seek out wives amongst the loose women of the Hobbit villages. Those that left for the greener pastures of the Shire, assimilated into Hobbit culture and never returned to their motherland. For those Leprechauns who remained in the Emerald Isles, their wealth quickly dried up and with it their magical powers followed suit. It wasn’t long after that the only magic a Leprechaun retained was the old coin in the ear trick. It’s debatable as to whether that trick is even real magic. 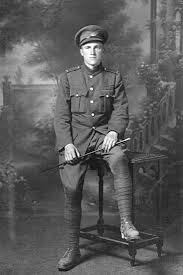 Though the exact year the Leprechaun lost his magic remains unknown, the last recorded time a Leprechaun granted his captor three wishes occurred in 1919 when General Patrick Mills returned home from The Great War to tend to an ailing mother. Like so many others, General Mills had suffered much hardship after shipping out to a world at war. While in France, his business back home went under, his dog died, and his wife left him. Now, back in his homeland of Ireland, the General couldn’t bear to see the passing of his beloved mother. Overcome with sorrow and despair, the general retreated to his mother’s wine cellar only to come face to face with a drunken Leprechaun who was in no position to resist capture. In exchange for his release, the Leprechaun granted the general three wishes. General Mills knew exactly what his heart desired. 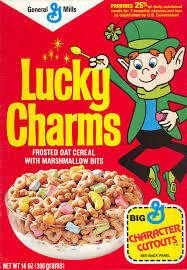 He wished his wife would return home; he wished his mother would make a full recovery, and he wished to make millions of dollars on a breakfast cereal that contained frosted oats, colored marshmallows, and was magically delicious. Today the Leprechaun people are mere shadows of their former glory. Where one used to find a pot of gold, most ends of rainbows are now littered with shopping carts and aluminum cans. Tragically, 86% of all current prisoners in Ireland are Leprechaun. 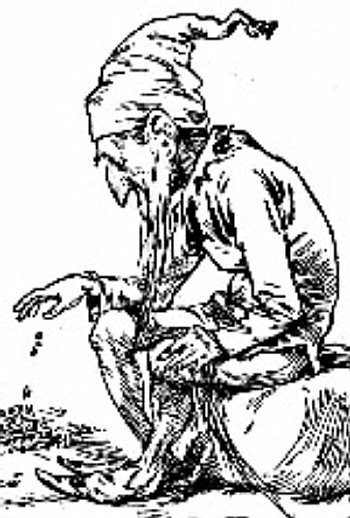 With the magic gone, the Leprechaun is no longer capable of granting wishes in exchange for his freedom. Those not incarcerated have turned to odd jobs such as carnie work or silly little street performers. Nearly all of these bearded pint-sized men are addicted to the bottle. I implore you on this upcoming St. Patty’s Day, remember the plight of the Leprechaun. You might be celebrating on the banks of the River Shannon. You might find yourself sucking down suds in a shamrock-themed pub right here in the US of A. 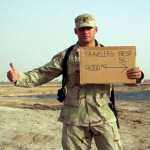 Wherever you find yourself on this March 17, do something for the little people who so desperately need your help. Kick off those Nike, those Reebok, or any other white-laced athletic shoes you’re currently still wearing. 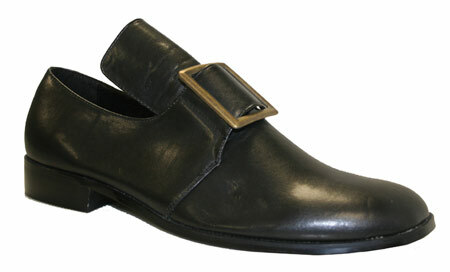 Squeeze into a pair of black, buckled footwear and manifest some of that archaic magic. Every person daring to sport a pair of those hard-tacked leather loafers will be in essence restoring a little enchantment back to the green Emerald Isle. With your help, along with a little luck of the Irish, the Leprechaun might just gain a fighting chance. For us, the buckled shoe is merely a matter of fanciful foot fashion. For the leprechaun, it’s a matter of livelihood and prosperity. Let’s set a trend this March and get rid of those knotted laces once and for all. Only then can the Leprechaun people truly see a golden return to their glory days! Thank you for reading my article and I hope you visit my site again real soon. Feel free to explore other areas of my blog, post a comment, and share some love on social media. Disclaimer: These views are solely and expressly those of the author. WordPress.com does not condone, recommend, or facilitate the wearing of black, buckled shoes. Never celebrated it before as I am from Transylvania but I do enjoy seeing other people celebrating it (I was in UK on those days in 2015). Also I enjoyed reading the historical research which by the way it is great for those who didn’t really knew anything about St. Patrick’s Day. Glad you enjoyed it. It’s simply well researched historical data.